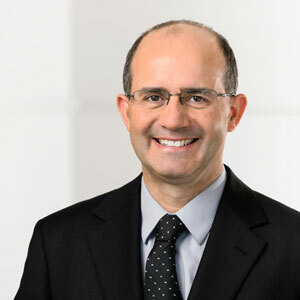 Dr Nick Agiannidis is the practice principal of St Marys Dental Care. He has been practicing in the area for the last 28 years after graduating from The University of Adelaide in 1985. Nick is proficient in Greek. 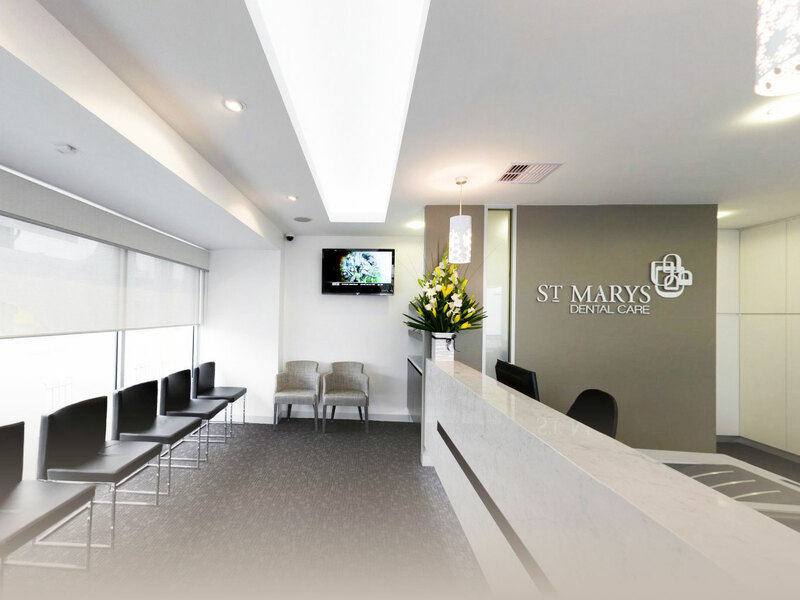 Early 2011 Dr Nick Agiannidis relocated his Clovelly Park Practice and established St Marys Dental Care, a modern and purpose designed dental practice to provide a comfortable and relaxed working environment for his patients and staff. 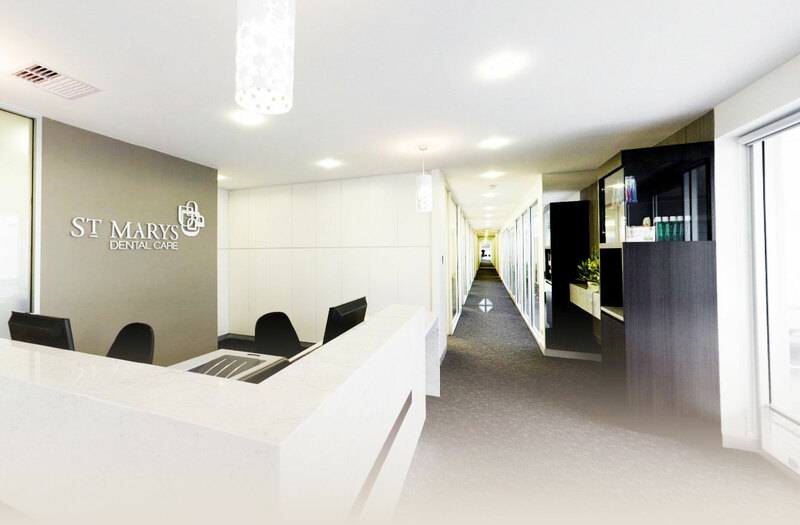 His philosophy of Dental Practice is to deliver high quality care to everyone and he is committed to excellence with high standards while maintaining a friendly and caring approach. Nick is proficient in all aspects of dentistry, with extensive experience and interest in restorative, prosthodontic, cosmetic and implant dentistry. 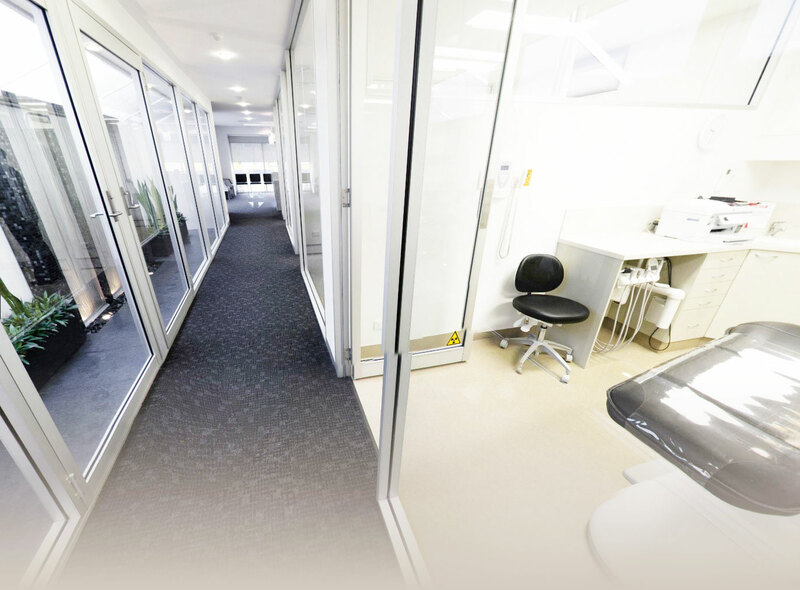 Nick enjoys and regularly attends courses, seminars and workshops to maintain his knowledge of the latest advances in Dentistry through continuing education. He is a Master Fastbraces provider. 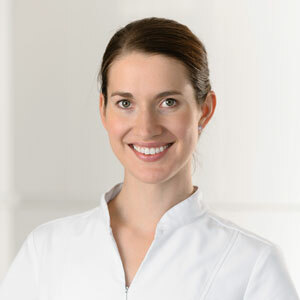 Dr Greta Schulz graduated from the University of Adelaide in 2006. She then worked in a private practice in Tamworth and Hobart for three years before returning to her home town of Adelaide in 2010. 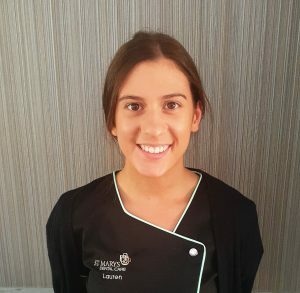 Greta then joined St Marys Dental Care with Dr Nick Agiannidis in early 2011. She enjoys all aspects of general dentistry, including cosmetic and restorative dentistry along with working with children. Greta has a friendly and caring nature which is highly valued by her loyal patients. Denise graduated from the University of Adelaide and has since worked in both private and public dental sectors. She joined the team at St Marys Dental Care in 2017. Denise is a warm and caring dentist who tailors treatment to each patient’s needs. She enjoys all aspects of general dentistry, in particular, helping anxious patients overcome their fear of dentists. She is gentle and amicable, and has a number of good jokes up her sleeve. In her spare time, Denise enjoys keeping up to date with new developments in dentistry by attending courses and conferences, and staying healthy through exercise and cooking. She also loves travelling and trying new cuisines. 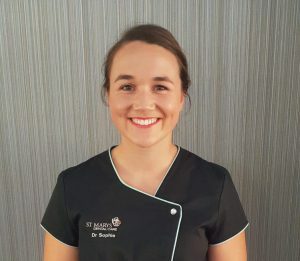 Dr Sophie graduated from James Cook University in 2018. 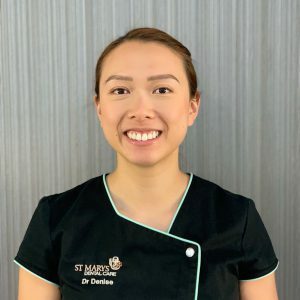 After practicing in public health in Cairns, Alice Springs and Hobart, she has returned to her home town of Adelaide and joined the team at St Marys Dental Care. Sophie has a bubbly and high-energy personality. She enjoys offering general dental care to her patients in her caring and patient focused manner. She takes pride in helping people to achieve and maintain beautiful, functional, and healthy teeth for life. Outside of work Sophie loves to spend time with friends and family, and on the weekends you’ll often find her water-skiing on the River Murray. 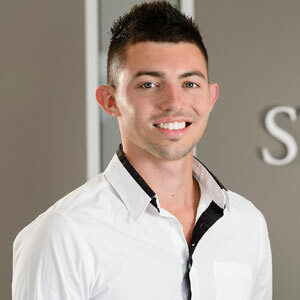 James Agiannidis completed his Bachelor of Oral Health (BOH) in 2012 at Adelaide University and started work here at St Marys Dental Care in 2014. James enjoys working with children and participates in the current Medicare Child Dental Benefits Scheme. His passion is the prevention of dental problems and education of oral health with the aim to make his patients have a positive dental experience and to create a positive dental environment. James specialises in non-surgical gum treatment to improve and prevent gum disease (gingivitis). Jennifer joined St Marys Dental Care in 2011. She has 15 years of dental nursing and reception skills behind her along with the experience of working in England. Jenn has travelled around the world and enjoys meeting new people. She has a passion for cooking and living a healthy lifestyle. She currently works part at St Marys Dental as well as a Registered Nurse. Lenise has been with St Marys Dental for 3 years and has 10 years experience. She enjoys all aspects of dentistry, especially cosmetic and prosthetic procedures. She loves to make patients feel very comfortable and has a special spot for the elder patients.She is very family orientated and is kept on her toes with her young daughter. In her spare time, Lenise enjoys playing netball and keeping fit, traveling (Ireland in particular to see family), shopping and lunch dates with friends. She also loves taking her dog, Nixon for walks along the beach. 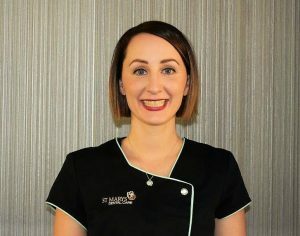 Hayley joined St Marys Dental Care as a trainee dental assistant in 2012 and has since grown into one of the senior employees of the team. She is hard working, great at time management and is always up for a challenge.Hayley spends her free time with her dog Arrow, they enjoy hiking, especially in Kuitpo Forrest. She also enjoys going out for breakfast and seeing all the latest films. She adores her new nephew, Harry. Jane has worked at the practice for approximately 30 years. Formerly teaching she now helps at the front desk. A proud mother of three sons, she loves travelling, going to the theatre and attending concerts. She also loves walking the family dog. 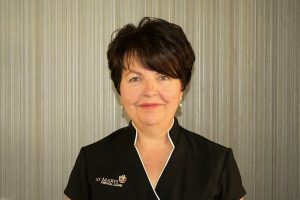 Jane enjoys welcoming and assisting all of the patients who attend St Marys Dental Care. 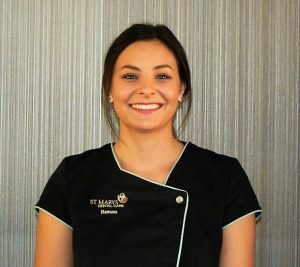 Renae has been with St Marys Dental Care for 3 years. She has completed her Certificate III in 2012 and her Certificate IV Dental Assisting in 2015. Renae enjoys travelling and learning about other cultures. Renae just recently came back from a trip to India and Sri Lanka which she thoroughly enjoyed. She is outgoing, very bubbly and will always make people happy around her. We value the knowledge she has gained from her previous experience and brings us new ideas! 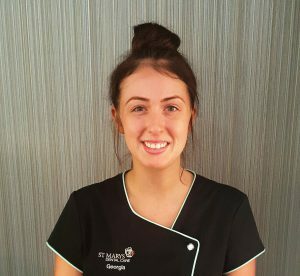 Georgia joined the St Marys Dental team in 2017 with 2 years’ experience. 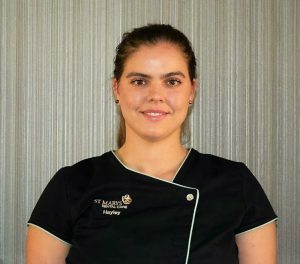 Her favourite aspect of dentistry is helping patients feel comfortable in the dental setting and learning new aspects of dentistry.In Georgia’s spare time, Georgia enjoys walking her two dogs, keeping active and loves cooking. 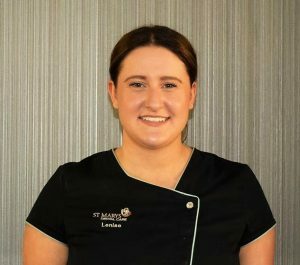 Lauren joined St Marys Dental Care in 2017 with 2 years’ experience. She enjoys all aspects of Dentistry and thoroughly enjoys assisting patients in feeling calm during treatment.She has recently returned from a 6-week Europe trip and looks forward to future travel. She also enjoys keeping fit at F45 and taking on a challenge.